The logistics sector has been the first to adopt hydrogen fuel cell electric vehicles as the most efficient way available to decarbonize, but so far that transition has been sparked mainly by the humble forklift. Now it looks like the industry is ready to step up its game into street legal territory, in a big way. 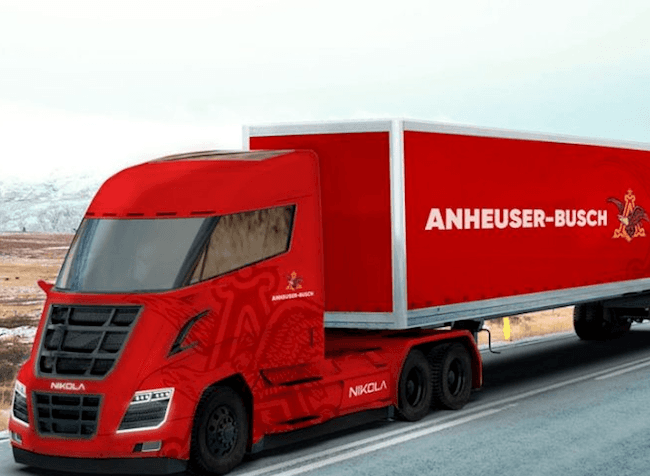 Earlier this month Anheuser-Busch announced that it has pre-ordered hundreds of hydrogen fuel cell electric semi trucks -- 800, to be exact -- from the US startup Nikola Motors. The sheer size of that order is interesting news for fleet owners looking to expand their decarbonization options. The EV company Tesla made a big splash last year by launching its first battery electric semi. Anheuser-Busch also put in a pre-order with Tesla a few months ago, but only for 40 trucks. Why hydrogen is "the future of logistics"
Anheuser-Busch is clear on the decarbonization opportunities behind the deep plunge into hydrogen fuel cell technology. In a press statement, CEO Michel Doukeris noted that "the transport industry is one that is ripe for innovative solutions and Nikola is leading the way with hydrogen-electric, zero-emission capabilities." The company is looking at reducing its carbon emissions from logistics by more than 18% through the adoption of 800 hydrogen trucks, helping to meet the company's 2025 goal of reducing emissions 25% across its value chain. For those of you new to the topic, fuel cells convert hydrogen to electricity through a chemical reaction with oxygen (think H20 and you're on the right track). Aside from water, there are no emissions from a hydrogen fuel cell electric vehicle. The advantage over battery electric vehicles is relatively simple: fuel cells can be refueled with hydrogen in about as much time as it would take to refill any other fuel tank. Fuel cells also offer a potential advantage in size and weight over battery packs. The refueling advantage comes into sharp focus for warehouse operations, where the time and space dedicated to forklift battery recharging and swapping cuts into razor thin margins. Anheuser-Busch also sees that advantage applying to long haul operations. The company anticipates refilling within 20 minutes, which will reduce idle time. The company also expects a safety advantage due to Nikola's "surround viewing" design. Hydrogen-electric technology is the future of logistics and we’re proud to be leading the way...By 2028, we anticipate having over 700 hydrogen stations across the USA and Canada. With nearly 9 billion dollars in pre-order reservations, we are building to order, not speculation, and are very excited for what’s to come. So, where is the hydrogen coming from? Triple Pundit has been keeping tabs on Nikola since its launch in 2016, and the first thing we noticed was the company's plans for a network of fueling stations powered by renewable energy. That doesn't just mean keeping the lights on. Back in 2017, the company envisioned an initial network of 16 fuel stations that produce hydrogen on site, by "splitting" water with an electrical current. Water-splitting is a green step up from the conventional source of hydrogen, which is natural gas. It also means that Nikola can take advantage of any available wind or solar energy to power the process. With the Anhueser-Busch deal in hand, Nikola has stepped up its plans. The company is now aiming for an additional 28 stations in its network. Although that still may not seem like enough to cover the whole continental US, the truck's range of up to 1,200 miles cuts down on the need for large numbers. King of the road: Tesla, Nikola or both? With high profile entreprenuer Elon Musk at the helm, Tesla clearly has the edge over Nikola in terms of publicity. However, Nikola's 800-truck partnership with Anheuser-Busch finally put the company on the public radar, and it has been making some moves that undercut Tesla where the rubber hits the road. One example is Nikola's pledge to make its hydrogen fuel station network available to any vehicle. That's a contrast with the Tesla business model, which makes its battery charging stations available only to Tesla owners. Back in April, Nikola teased news about a forthcoming deal that would enable it to accept pre-orders without requiring a deposit. Nikola also announced that it was refunding all previous deposits on pre-orders while reassuring those customers that they would still retain their position in line. That's another strike at the heart of Tesla's business model, which runs into thousands of dollars for deposits on pre-orders. If Nikola comes through on its vision for water-splitting powered by renewable energy, that would be the icing on the sustainability cake. The gloves really came off earlier this month, when word came out that Nikola filed a $2 billion lawsuit against Tesla in Arizona, claiming patent infringement. The point of contention is the design of the semi cab. Nikola holds patents for several design elements that it alleges Tesla copied, including its unique wraparound windshield and mid-entry door. That was just for starters. Nikola plans to leverage its truck refueling network to help kickstart the hydrogen fuel cell vehicle market for passenger cars, which would be in direct competition with Tesla's battery EVs. It's certainly not game over for battery EVs, but it looks like the hydrogen economy is going mainstream in a big way now. 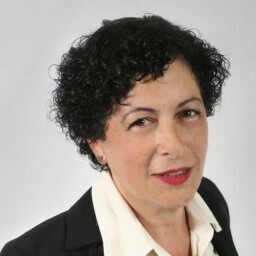 Although the rivalry may be causing heartburn among executives at both companies, the good news is that fleet owners will have more zero emission options to choose from in the near future. Photo (cropped): via Anhueser Busch.